Alabama is the perfect destination for those who love all things sports, and for good reason: some of the best college football teams live right here in the Heart of Dixie. 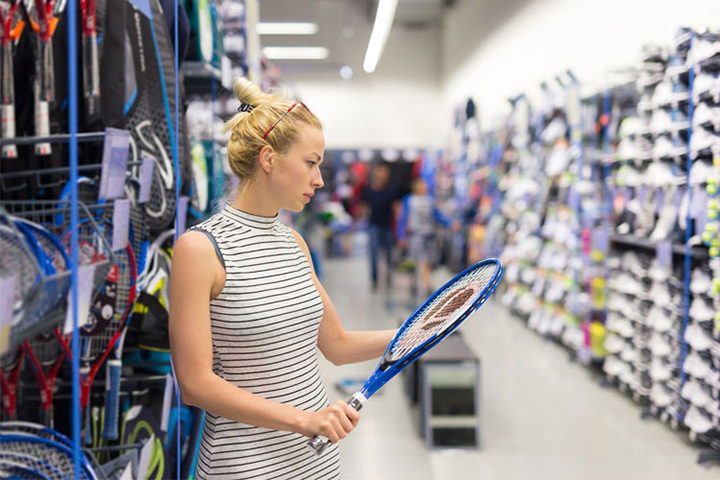 Throughout the state, you’ll find a variety of sporting goods stores that cater to just about any sport you’re into, from racquet sports to ball sports, indoor and outdoor sports, and everything in between. If you’re looking for a wide variety of high quality sports equipment and gear, head to one of these 10 best sporting goods stores in Alabama. Part sporting goods and outdoor store, part home improvement and DIY haven, this store can’t be classified as anything other than one-of-a-kind. This sprawling store has everything outdoor sports enthusiasts need, from firearms and ammo to archery equipment, fishing, and hunting gear. It’s worth a trip here just to marvel at all the amazing things within. A Decatur tradition for over half a century, Lang’s has built its hometown reputation on quality products and neighborly service. Step through their doors and you’re automatically part of the Lang’s family. Here you can get all your custom team uniforms (all made in-house! ), screen printed tee’s, apparel, and all the equipment you need to give your local sports team its best chance to succeed. For high quality firearms, sportsmen know to come to Van’s Sporting Goods. Here you’ll find everything you need to make your next hunting field trip the best one yet. This four-location sporting goods company caters to team sports, offering everything you need from uniforms to equipment and gear. Every football, baseball, softball, soccer, volleyball, cheerleading, and basketball team in the gulf area know the name David Bowen, and count on them for custom screen printing, embroidery, and custom jersey lettering. Family owned and operated since its humble beginnings in 1945, Simmons Sporting Goods has attracted outdoor sportsmen with their extensive knowledge and high quality products. As hunters and fishermen themselves, they know how to help you get the most from every purchase and know the area well enough to tell you where you can put your new equipment and gear to the test. While Dunham’s Sports is a national chain, there are only three locations in Alabama (the other two are in Albertville and Fort Payne). They carry everything you need for your sports lifestyle, including top brands in apparel and shoes, hunting and fishing, paintball and airsoft, team sports, and even cameras and electronics. For the best in team sports, you can’t go wrong at Romeo’s Sporting Goods. They specialize in providing area baseball and softball teams with the uniforms, equipment, and accessories they need for a standout season. They also have the biggest bat selection in the state! You won’t find a better hometown variety than at MAC Sporting Goods. Here you’ll find everything for local area team sports, including custom uniforms, as well dancewear and running shoes. Locals know if they need high quality firearms or fishing and hunting gear, Quints is the spot. Their loyal fans rely on them for gunsmith-ing and bow set up to ensure their equipment is in tiptop shape. They also feature an underground range to help you hone your skills. The folks here take extra time to ensure you’re getting the right gear the first time. They carry everything you need for team sports, including high quality equipment, custom uniforms, coaches gear, cleats, and disc golf items.